Redmi has announced that they are going to officially launch their Redmi Go series powered by Android Go in India on March 19. Android Go is the operating system powered by Android for entry-level smartphones and Xiaomi is bringing these to India. Till date, Xiaomi Redmi has no Android Go smartphones in India but only the Redmi 6A for entry level segment. 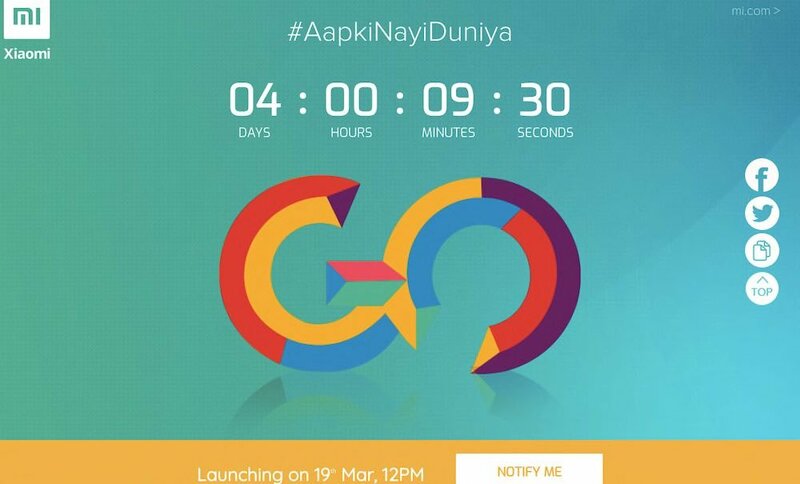 With Android Go Smartphone, Redmi may try to break the 5K barrier and price the Redmi Go below 5k Indian Rupees. We have been hearing rumours about a Redmi Go edition smartphone that is expected to launch soon. It appears that the rumours were true and Xiaomi Redmi Go (Go Edition) smartphone is going to launch officially in Philipines first, followed by some other countries. 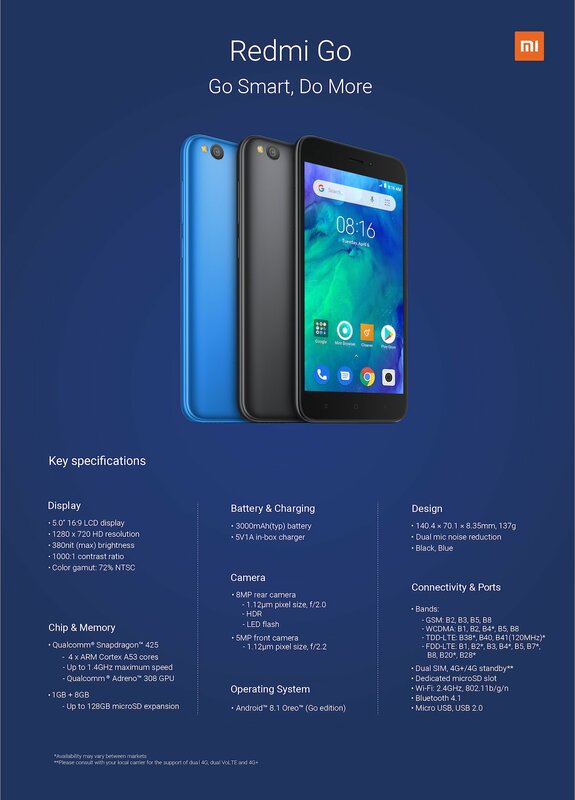 The company was teasing about the phone in Philipines and now the this new Go Edition phone is listed on the company retail partner Lazada in Philipines along with all the press renders and hardware specifications, leaving nothing left to speculate. 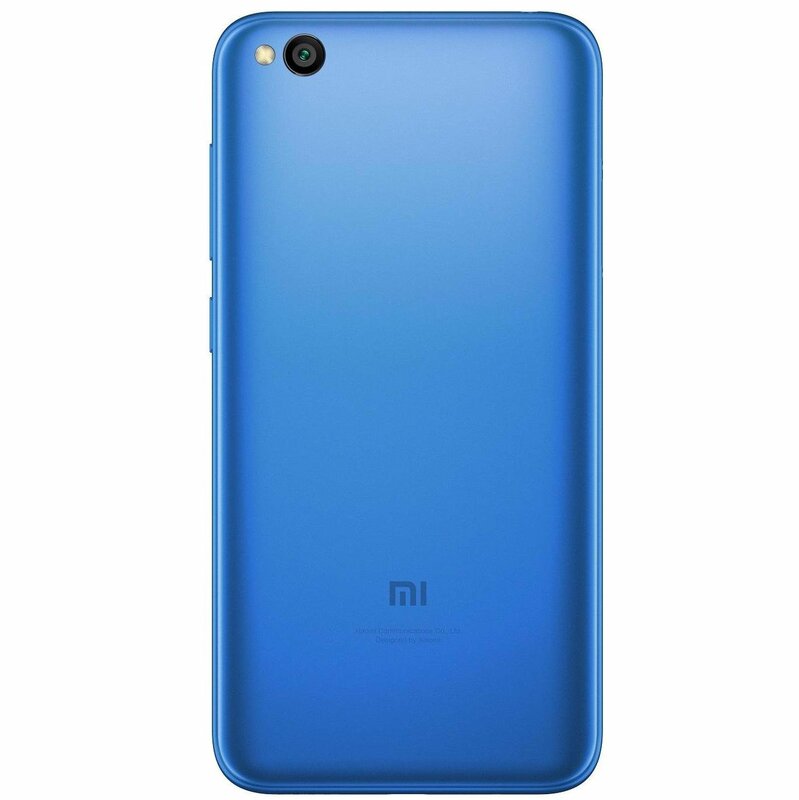 As per the Lazada listing, Xiaomi Redmi Go Edition sports a compact 5.0-inch HD+ display and is powered by 1.4GHz Quad-Core Snapdragon 425 Mobile Platform along with just 1GB of RAM. 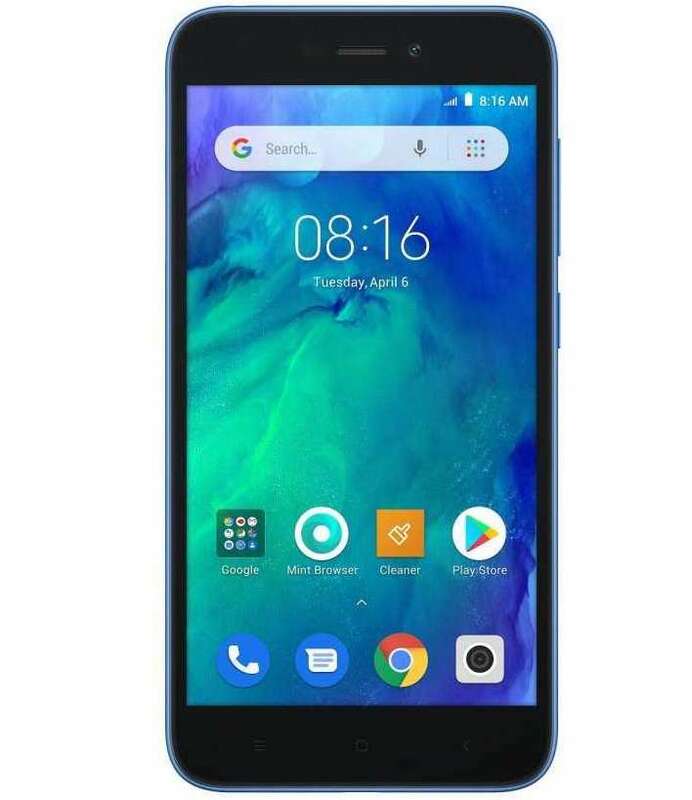 It comes with 8GB of internal storage and runs on Android 8.1 (Oreo Go Edition) operating system. In terms of Camera, it features an 8MP main rear camera with LEDflash while there is a 5MP snapper on the front for selfies & video calls. The phone is backed by a 3,000 mAh battery but there is no fast charging support. Other features include support for Dual SIM and 4G VoLTE. In the Philippines, it will be available in Blue & Black Colour from next week hopefully. If launched in India, you can expect it to be priced much lesser than 5,000 INR.